St. Aloysius Church on 21 Cherry Street. NEW CANAAN — Commuters will be going to church more — to park their cars. 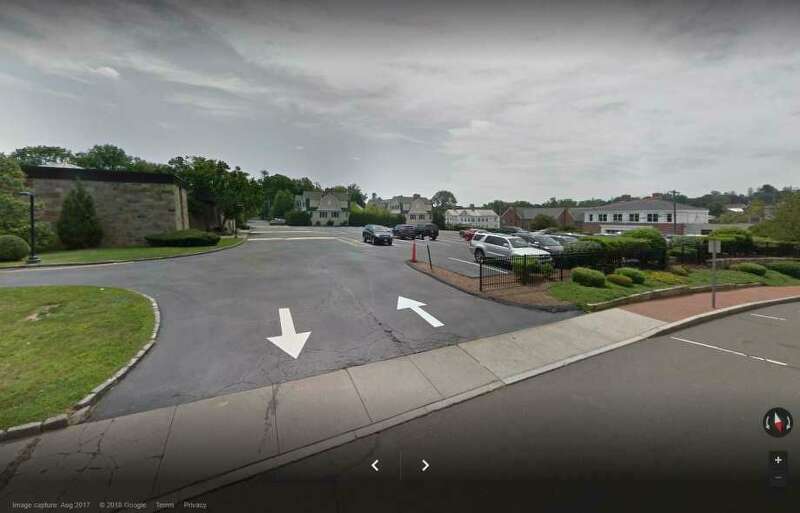 Boxcar, a mobile phone application that coordinates the opening of parking spaces on private properties, was approved by the Board of Selectmen to open up 60 spaces by next Monday at St. Aloysius Church on 21 Cherry St.
Stacey Miltenberg, New Canaan’s parking manager, said the department would monitor and supervise the spaces on St. Aloysius. The allotted times would allow anyone to pay $7 for a space from 6 a.m. to midnight. Boxcar CEO Joe Colangelo said the daily fee applies to those who book the space even if they park in said space for five minutes or for the entire 6 a.m. to midnight timeframe. Cars that park in Boxcar spaces without paying the daily fee will see stickers placed on them, followed by stickers that are harder to take off after the first offense. Users will need to download the Boxcar application on their smartphone in order to use the service. First Selectman Kevin Moynihan, who campaigned on the promise of bringing more parking spots to town, has engaged in talks with the New Jersey based application since the beginning of the year in order to bring it to town. “We’re happy to do with other churches in town and effectively get additional parking spaces without costs to the town,” Moynihan said. A representative from St. Aloysius was not available for comment. The Parking Authority will be emailing the estimated 500 people on parking wait lists to spread the word about the upcoming 60 spaces. Colangelo added that the $7 daily fee applies to those who book the space even if they park in said space for five minutes or for the entire 6 a.m. to midnight timeframe. Moynihan did not hide his ambition to extend Boxcar to other private properties in town as the six-month trial approved by Planning and Zoning in late June gets underway.